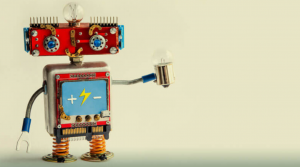 In this article, Kevin Indig stated “We know PageRank is one of the biggest ranking factors in SEO, but we often forget that it flows between and within websites! 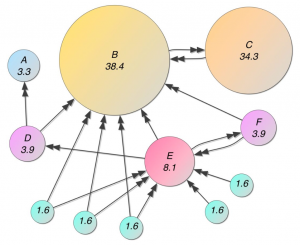 The common practice is to optimize internal linking without taking backlinks into account. That, however, can lead to making the wrong decisions.” Read the full article in order to get a grasp on what TIPR is. People ask Google millions of questions. 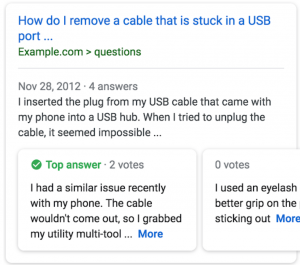 Now Google is rolling out rich results on Q&A pages. Contact us if you’d like to see full SPECs on Google Q&A rich results. 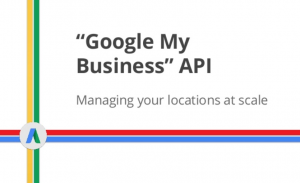 Google My Business API is just updated this week. Some of the new features include media captions, bulk review capture (multiple locations in one request), question & answer APIs. Brian Provost shared a great article on how social media stars are building organic traffic on the long run. See the line going up at the chart? That’s the number of Buzzfeed’s search clicks. 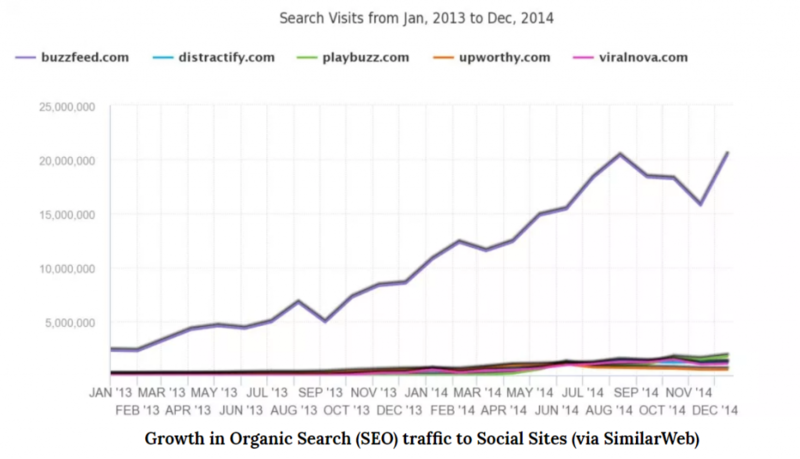 It looks like Buzzfeed’s SEO audience is doubling every six months or so. So what can we learn from them? Definitely worth reading. 6〉 In-SERP Scrolling – A New Thing! Eric Covino came across with this SERP that he could scroll up and down on his mobile. Guess when we’ll encounter with this screen on Google results. Ross Hudgens from Siege Media made it clear what organic discovery SERPs and pitchable SERPs are in his 8 minutes long video. 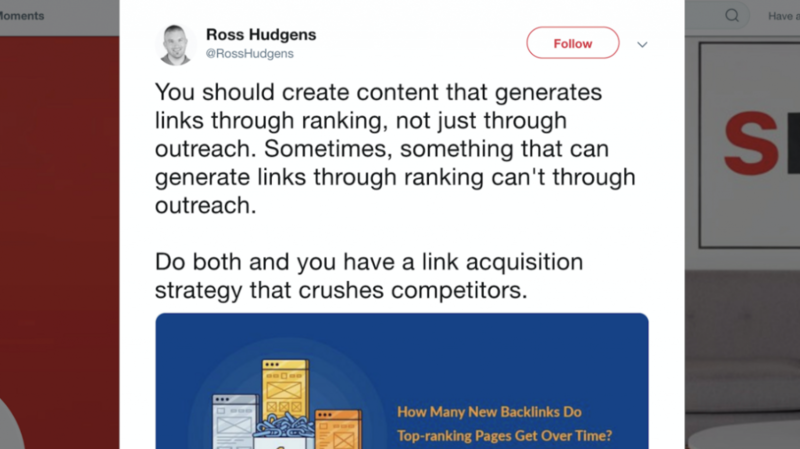 You’ll get how you should create content that generates links through rankings, not just through outreach. In this article that took place in DuckDuckGo Blog, they have issued Google’s bubble problem. That means Google is “manipulating” your search results based on your personal data. The research is done within USA, but it shows some astonishing insights. 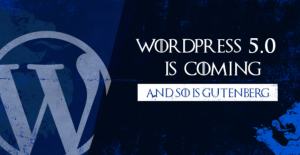 WordPress 5.0 will be released on December 6, 2018. This is a big release! 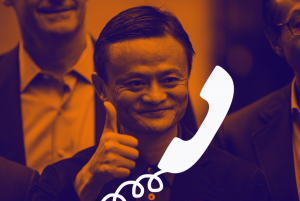 Take a peak at how Alibaba’s voice assistant responds to a customer at the 2018 Neural Information Processing Systems conference which took place on December 2nd, 2018.